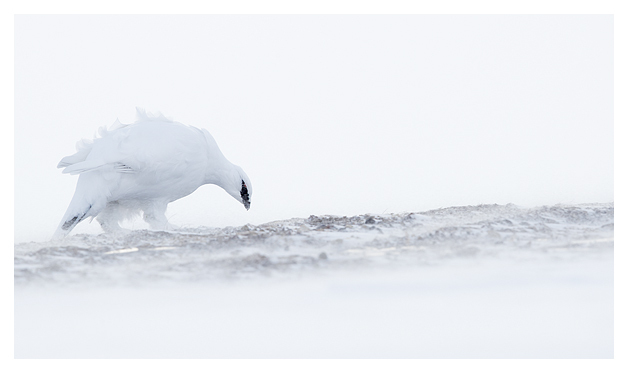 During early April I was running a trip for Natures Images to the Arctic Archipelago of Svalbard. I have been to this wonderful location before but it has been during the summer months and my mode of transport was by boat. 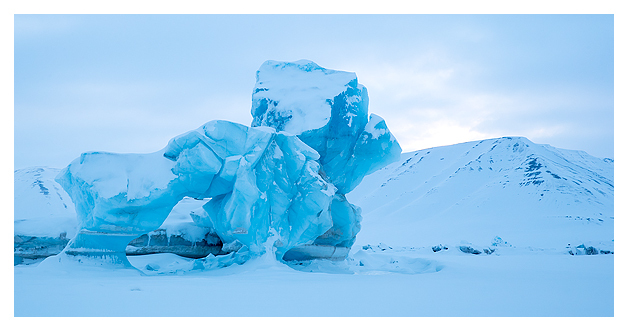 During the late spring/early summer the ice starts to break up and you can get to areas by boat that are otherwise locked up in this sea of ice. 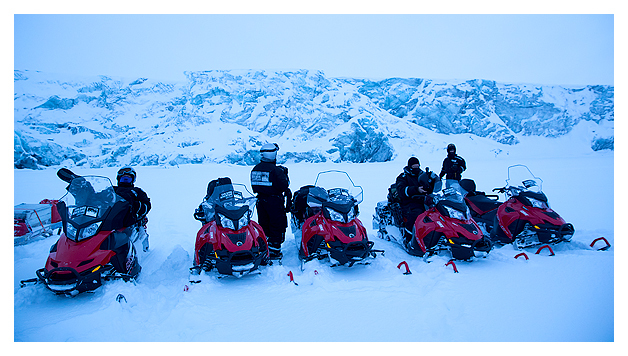 This trip was completely different as the winter is still holding on and our only way of getting around is by snow mobile. 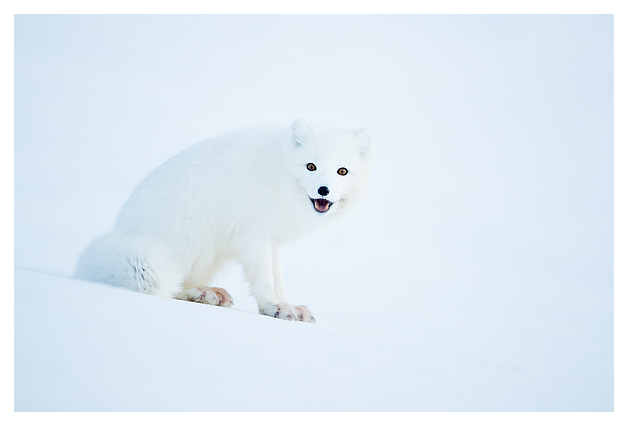 This trip had been about four years in the planning and it was so exciting but with a little trepidation that we were finally here, ready to explore these high Arctic Islands looking for the Arctic specialists that occupy them. Winter is still holding on during early April but there are signs that spring is only just around the corner. The tilt of the earth has shifted and the hours of daylight are changing to 24 hours with the sun just setting for a brief period of time. That said the temperature still feels like winter and the winter storms are never far away. Working and travelling around this environment can be tough but the rewards were worth the hardship. 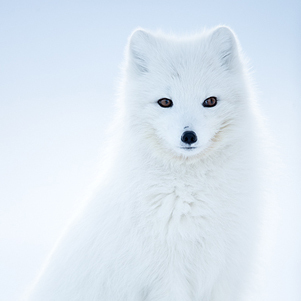 Our plan was to find the Arctic wildlife amongst the stunning settings of the Mountains and frozen coasts. 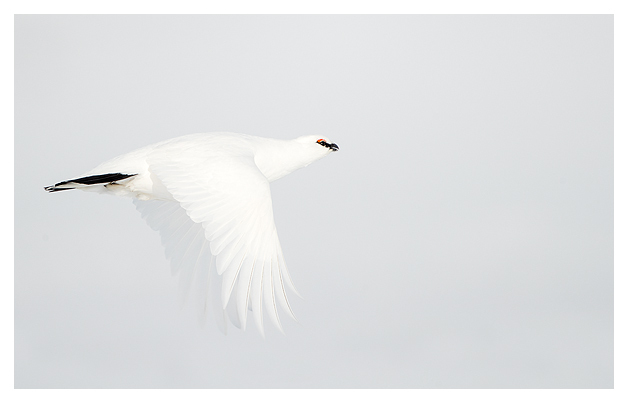 During the summer months there is an abundance of wildlife in Svalbard as millions of migrant birds arrive back to take advantage to breed during the productive summer. Wildlife seems to be everywhere. During the winter though you only have a small number of subjects to tackle, as only the hardy can with stand the intense cold of the winter. 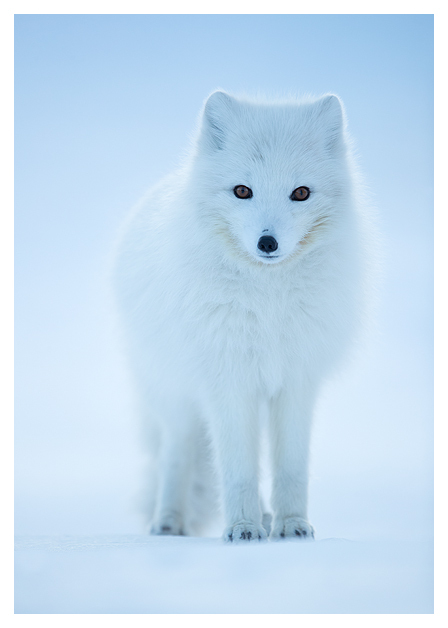 I have always had a fascination with the Arctic and I have been extremely lucky to travel extensively to various places over the years. 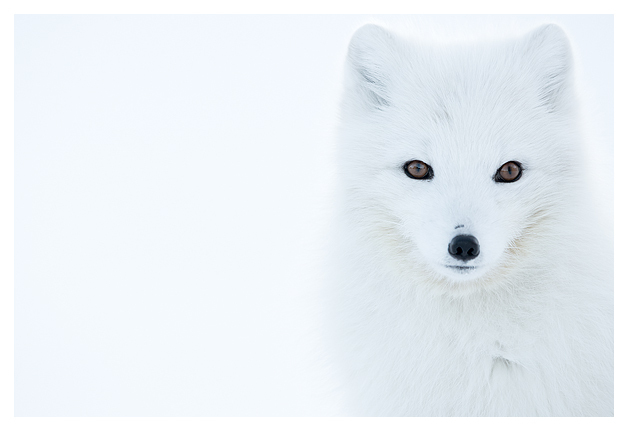 Working in the Arctic can have its own challenges for a photographer but the rewards can be huge. 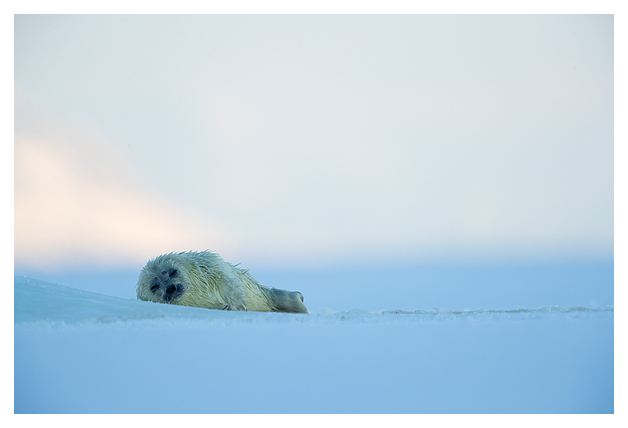 Our targets for this trip was to try and find Polar Bears along the frozen coastline as they search for Ringed Seals, that are starting to give birth. 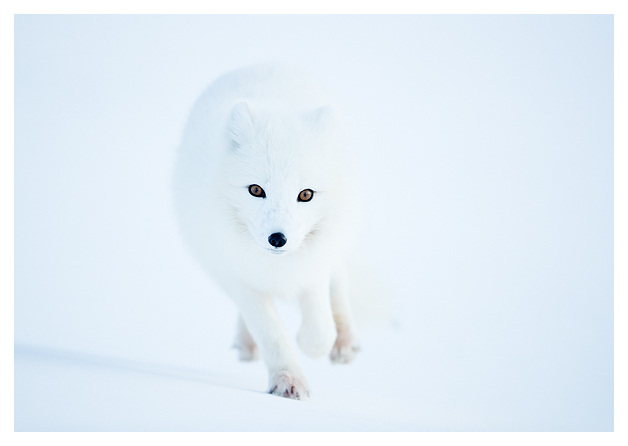 Arctic Foxes, Svalbard Reindeer and Ptarmigan were our other targets along the way. 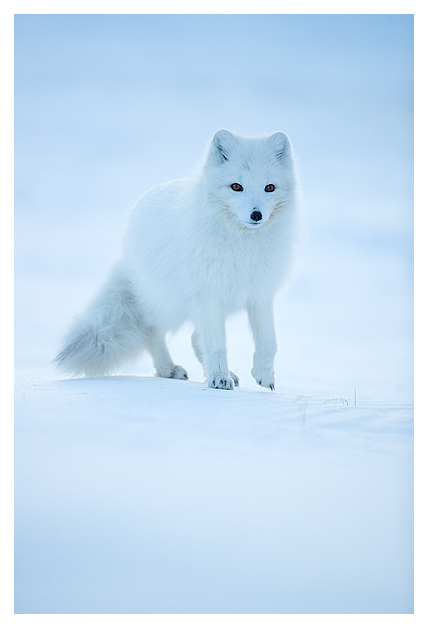 Arctic Foxes are one of my favourite animals and during the winter they look stunning in the winter finery. 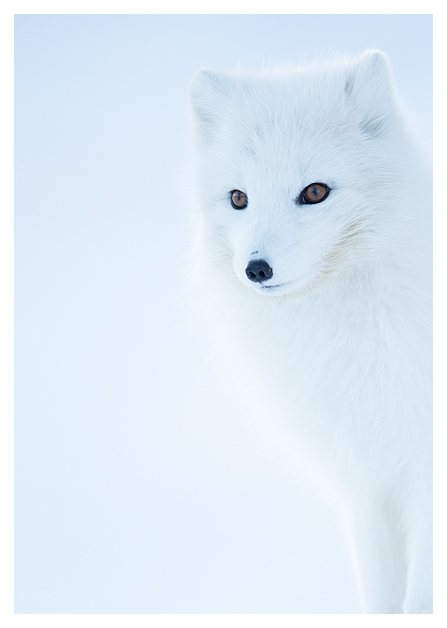 We had many chances throughout our trip to see and photograph these stunning foxes. 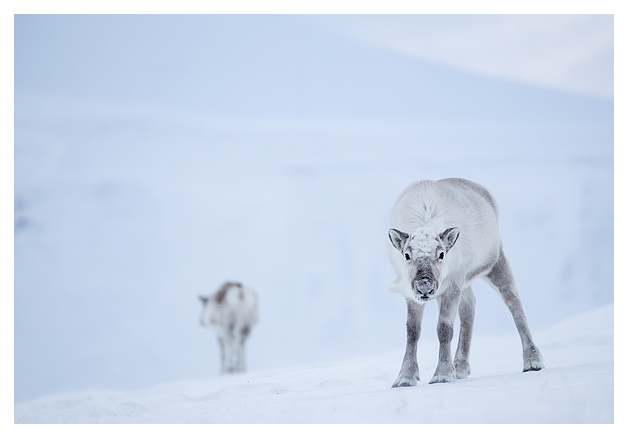 They are not easy to find and are by no means everywhere but they just seemed to turn up, especially around some of the settlements like Longyearbyen and Pryimiden. 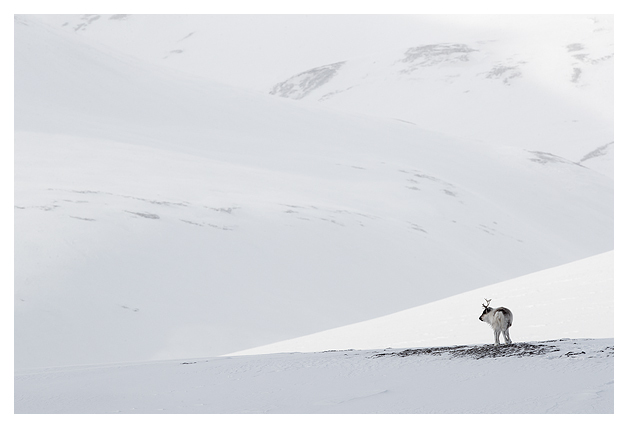 We came across Svalbard Reindeer on many occasions along our journey too. 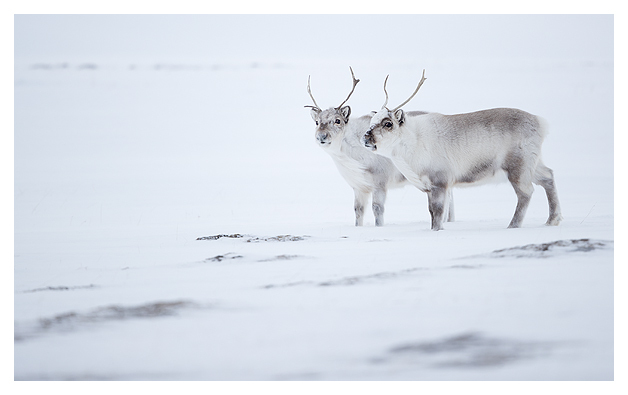 These Reindeer are very different from their mainland cousins and have evolved to live and with stand the harsh winter of Svalbard. 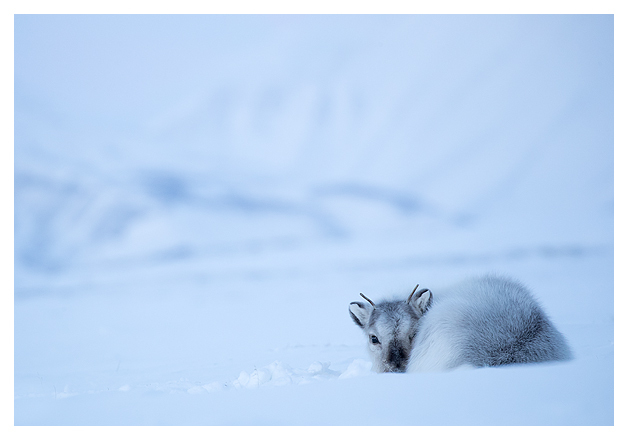 They are the furthest living herbivores in the world which is endemic to the Svalbard Archipelago, where it has lived for at least 5,000 years. 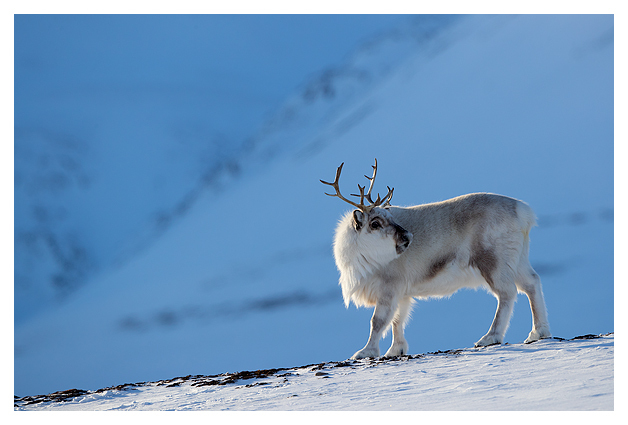 They are very different from other Reindeer as they have short legs and rounder heads; their fur is lighter in colour and much thicker too. 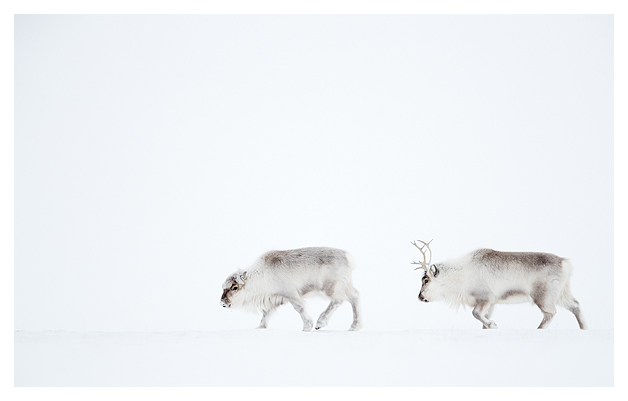 I resisted filling the frame with these hardy animals as I really liked trying to show them in context and incorporate more of their environment. 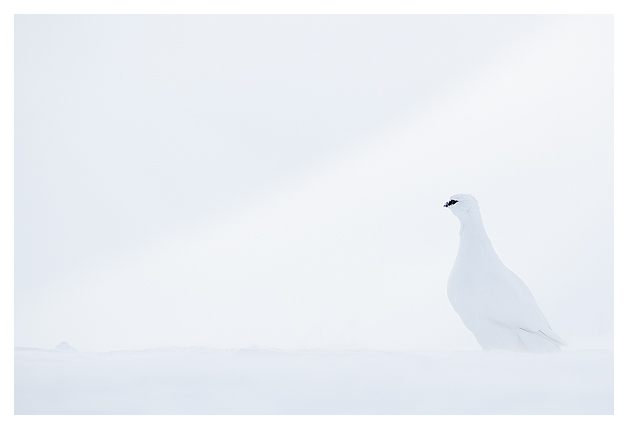 Whenever you find Reindeer you usually find Ptarmigan too. 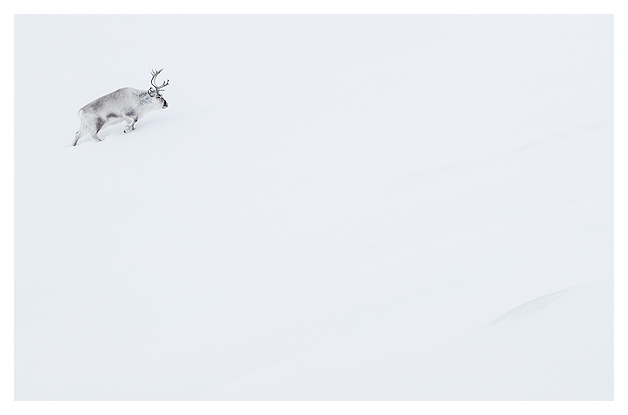 Basically the Reindeer scrape away the snow and Ice layer to get to the vegetation buried beneath and the Ptarmigan take advantage of this too. 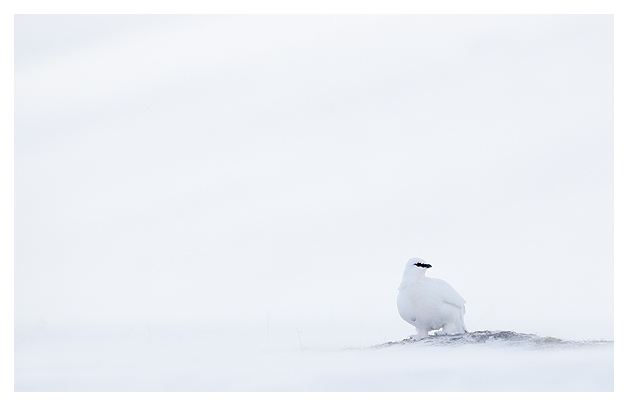 Like the Arctic Fox the Ptarmigan look their best during the winter months in their winter plumage. 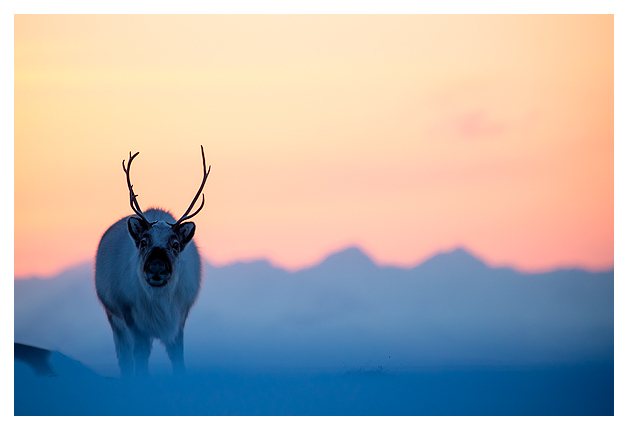 The Reindeer and Ptarmigan are mainly found in the mountains in Svalbard but we also headed to the coastline to look for Polar Bears and Ringed Seals. 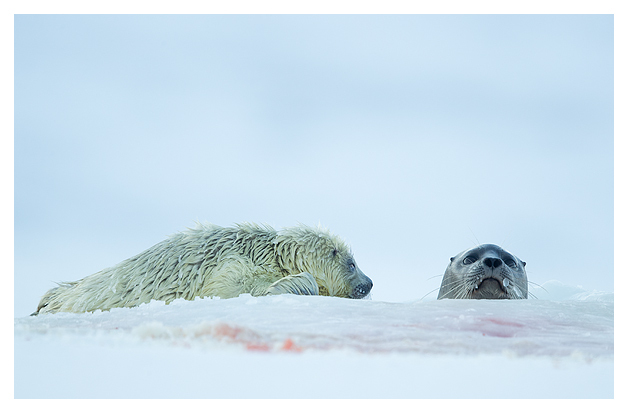 During late March the female ringed seals start to give birth to their young. 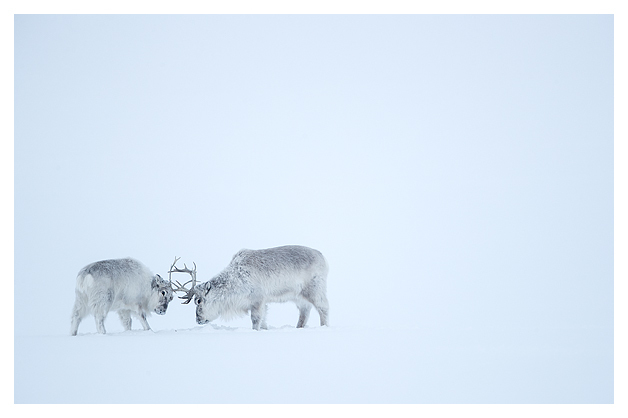 They usually do in front of the frozen glaciers. As the Glaciers melt during the summer months large and small blocks of ice drift in and out with the tide around the Glacier fronts. 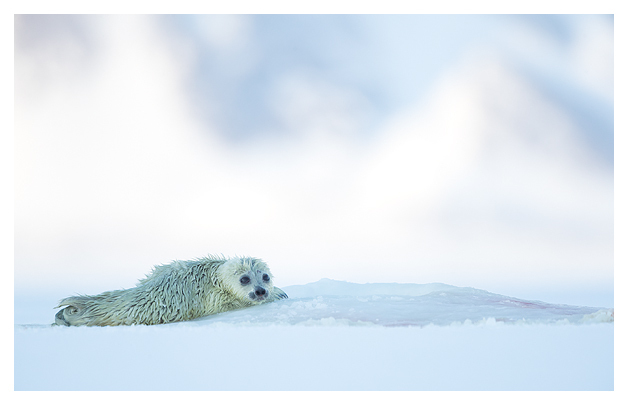 When the temperature starts to drop these blocks of Ice become frozen in the sea ice with lots of holes and crevices underneath, perfect breeding dens for the ringed seals. 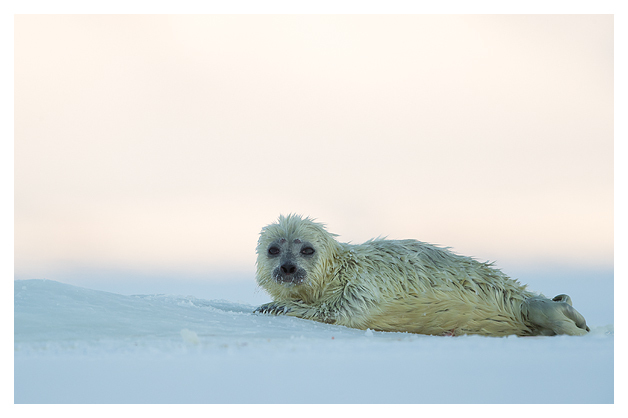 The following spring the ringed seals give birth to their young in these natural underground chambers. 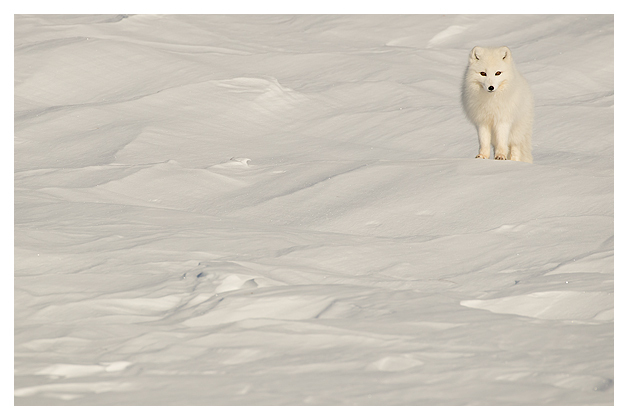 These areas then become a magnet for Polar Bears as they search for the Seals which are the single most important food source for the bears. 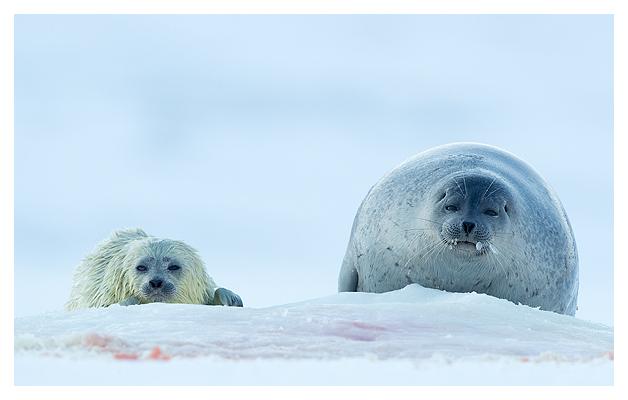 During this critical time they must catch enough seals to see them through the barren summer months. 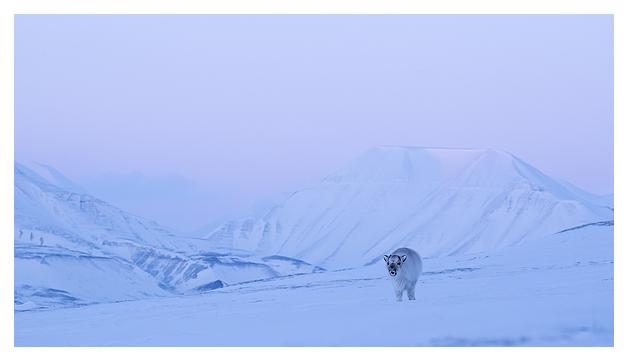 Our aim of this trip was to spend as much time as we could along the eastern coast of Svalbard looking for the bears. 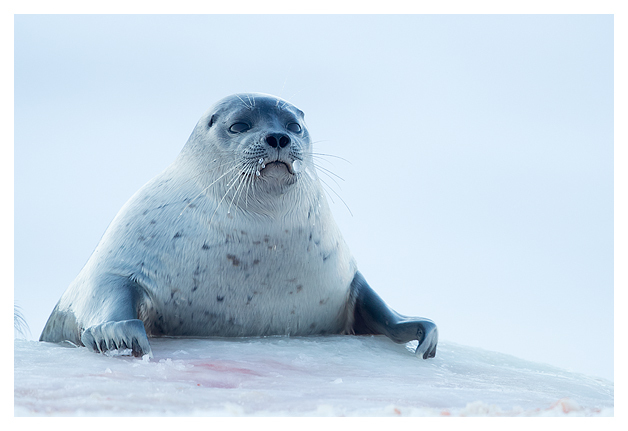 The problem we had on this trip was there was too much Ice on the east coast which made it difficult for the ringed seals to breed in their usual places. So because of the lack of Seals the Bears were much further out along the ice flow edges which made it impossible for us to go out. We did encounter a female Bear with two spring cubs on our trip but there was a thick sea fog at the time which made visibility poor, which made it just too dangerous to be able to get close enough to photograph them safely. It was one of the most frustrating moments of my career. Here we had a female bear with two tiny spring cubs that were resting in front of a frozen blue iceberg, the stuff of dreams for a photographer. It was the right call though as the visibility was just get getting worse and we would never have put the danger of the bear or us before any picture. It was frustrating for everyone on the trip but it just made us work that much harder. Our quest to find a Bear was fruitless though and at the end of the trip we had covered nearly 1600km on the snow mobiles in our pursuit. 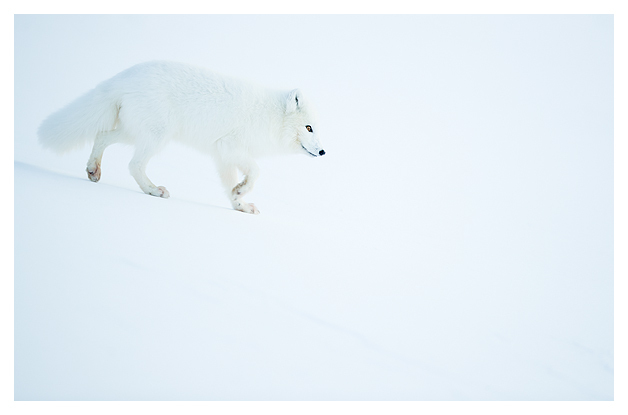 We found the fresh tracks of a large male but again had to abandon our search because of the poor visibility, you really need to have a good 360 degree view to work safely with Polar Bears. It changed within half an hour and so we went back to continue our search, we found the tracks again because the bear had found ours and had doubled back himself to see what was following him, pretty scary and certainly made our decision to right call. So our trip ended without a picture opportunity for the Bears. It was just extremely bad luck and that is the nature of a trip like this. 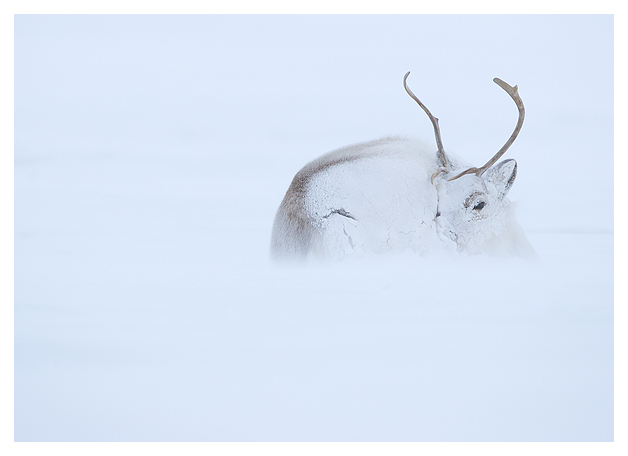 Still it was fantastic trip and experience with all the boxes ticked on the other beautiful subjects that can be found in these remote Arctic Islands. I will be running this trip again next year and if I could this will be an annual trip for me as I enjoyed everything about it. 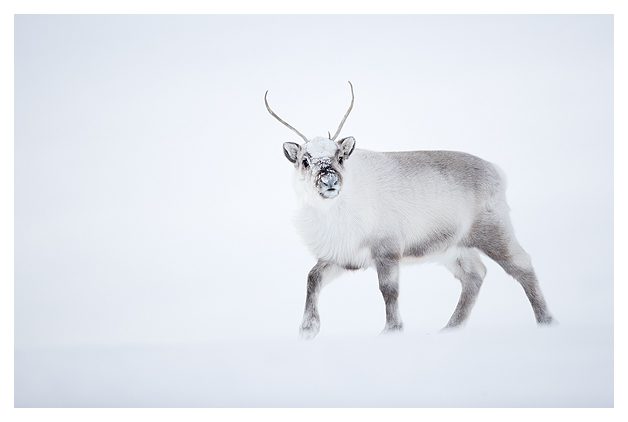 The excitement, the adventure, working in the high Arctic conditions at this time of the year and of course seeing and photographing these beautiful species. 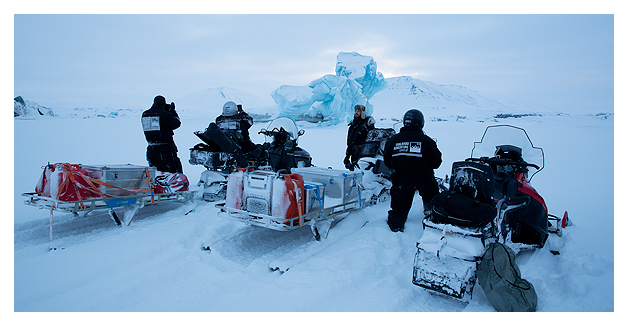 It is by no means an easy trip, just getting the camera out of the bag is no easy process and 1600km on a snow mobile is not the most comfortable form of transport either. But forgetting about all the hardship I loved every second of the trip and I can’t wait to go back. 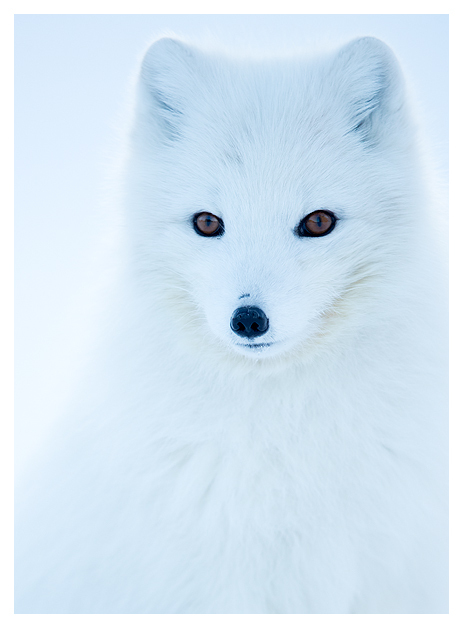 Next year’s trip has already sold out but I have arranged dates for the following year, so if you would like an adventure in the high Arctic then please get in touch. Great photos Danny – I’m really looking forward to it.